Helen Robbie was born in Melbourne. Helen Robbie was educated in Sydney, Moss Vale and Maitland, and later gained a Bachelor of Arts degree from the University of Sydney. Her major was music. In 1961, Helen studied dress design at East Sydney Technical College, later working for Hall Ludlow. After working for the family group of companies, she moved to New York in the early 1970s and studied operatic performance. She performed principle roles in both New York and Mexico. Helen returned to Australia to work at the family business, the Rocklily Tavern at Mona Vale, as director and manager. She also worked as a consultant manager with RG Byrnes. In 1984, she studied at the Institute of Counselling. When she joined Sydney Council in 1989 she was the managing director of two successful companies, Connoisseurs Connection and a small marketing company. She later worked for a recycling company. Helen left Council in 1991 to return to university. She studied Environmental Education at Macquarie University. She then joined the Faculty of Science at UNSW where she developed an Environmental Education Program for schools and raised money from DuPont to finance the program. She moved to Brisbane in 2003 where she continued to teach singing, worked as a theatre and cinema reviewer and at 4MBS FM, a classical radio station, as a programmer and announcer. In 2016 she moved to Kariong, where she continues to follow her interests and passions. Helen Robbie was an Independant alderman on Sydney Council. She was concerned about environmental responsibility, noise pollution, and advocated strict building controls. She was involved in the development of the Environmental Department at the council. In July 1991 she organised several concerts in Sydney to raise money for environmental projects. 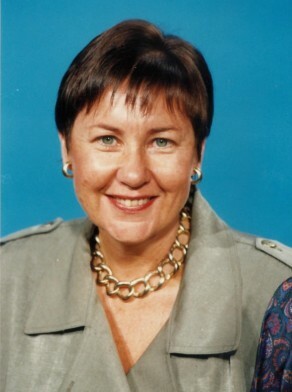 Helen Robbie was an alderman on the City of Sydney Council from 1 January 1989 to 13 September 1991. She was a member of a number of committees on the council, including the Finance Committee, the Community Services Committee and the Industrial Relations Committee. She was the instigator of Sydney Council’s Recycling Programme and also a consultant for Aspex, a paper recycling company. She was an Independent with a strong Green bias. In 1990 she was the first woman to stand for Lord Mayor of Sydney.